Water-activated tape is one of the best choices you can make when choosing a bonding agent for your facility. There are many different tape options for your packages, but none of them are quite a green or strong as water-activated tape. Let’s take a look at why you should choose this option for your business! As the spring rains and heat of summer approach, packaging centers everywhere are looking for ways of keeping their packages closed if left out in the elements. Dust, rain, and extreme temperatures all work to unseal even the most carefully placed tape. But when your business seals its boxes with water-activated tape, your packages will be sealed tightly protecting your products. This tape can withstand a wide variety of environmental factors like dust, dirt, extreme cold and heat, and even rain. This durability makes water-activated tape the perfect choice for your business. 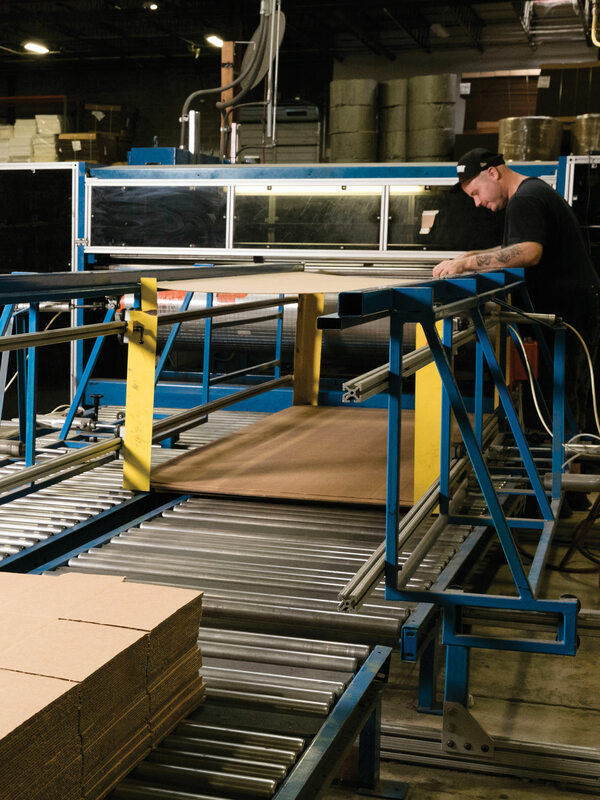 Unlike pressure adhesives like masking or packing tape, water-activated tape’s adhesive penetrates the surface of the corrugated cardboard and bonds with it. This bonding creates an extremely tight seal to ensure your box does not open during transit. If you are looking for a tight seal, choose water-activated tape! Because water-activated tape forms such a tight bond with your packages, it actually helps your products from being tampered with. This tight seal will show whether or not a shipment has been opened before it arrives at its final destination. Tamper-evident boxes will allow you to ship your product without worrying about it being messed with. You will be able to save money and have less liability for the boxes once they leave your facility. There are many different recyclable materials available on the market today and water-activated tape is just one of them. This tape is completely recyclable and because it is made of paper, it does not have to be peeled off of your boxes to be recycled. Simply flatten your boxes and put everything into your recycling bin. Water-activated tape is also biodegradable which also helps to keep it from filling up landfills and helps to lower your carbon footprint.